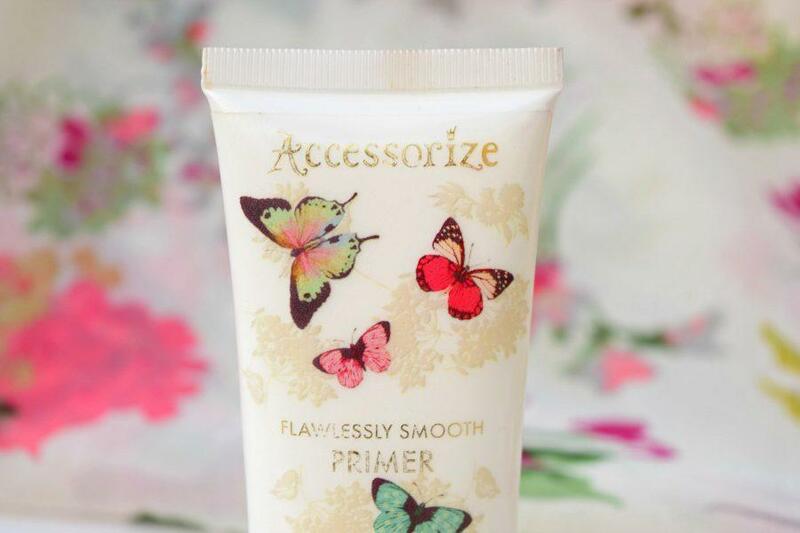 Accessorize Flawlessly Smooth Primer has a cute packaging with butterflies all over it! 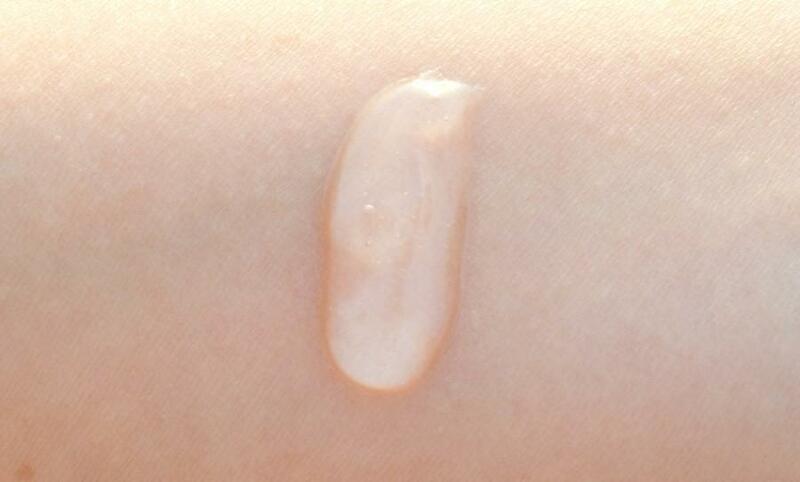 The primer has a gel like texture, gel which does not feel greasy instead a mattifying gel which you can feel from the texture itself. 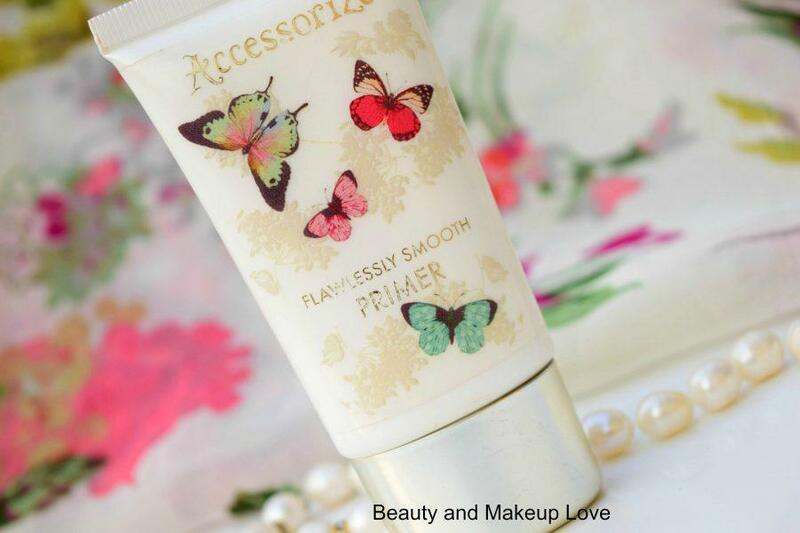 The primer is silicone based! I apply this primer after cleansing my face and it goes more smoothly if I apply it over a moisturizer, not that smoothly on bare face. It instantly mattifies my face, makes the surface smooth and controls excess shine for some amount of time though not sure for how long since I don’t face major oiliness, only a bit on my nose. It’s not that good in hiding pores or making them appear smaller! It makes foundation or BB cream glide more easily onto my face as it smooth out the surface and gives me a better finish compared to when I don’t use it. It does hold my base makeup for a good amount of time and keeps my skin looking matte! It mattifies the face but that mattifying effect doesn’t last long so I think oily skinned beauties won’t like it much rather it would be good fr dry skin types. 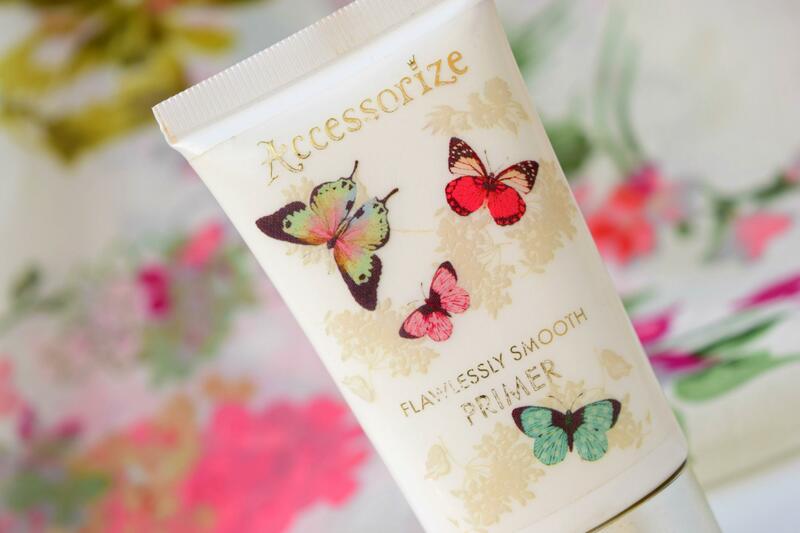 Gives a smooth base for foundation application. Has a gel like mattifying texture which glides on easily. Keeps makeup put for a longer period. Mattifies the face and controls shine. Moisturizes the skin so good for dry skin. Not easily available in India, available only at some shopping sites which sells it at a tad higher price than its actual price! Doesn’t control shine for a longer period. Full ingredients not mentioned on the tube! Doesn’t go that smooth on bare face, you need to moisturize first! Doesn’t hide pores that well. 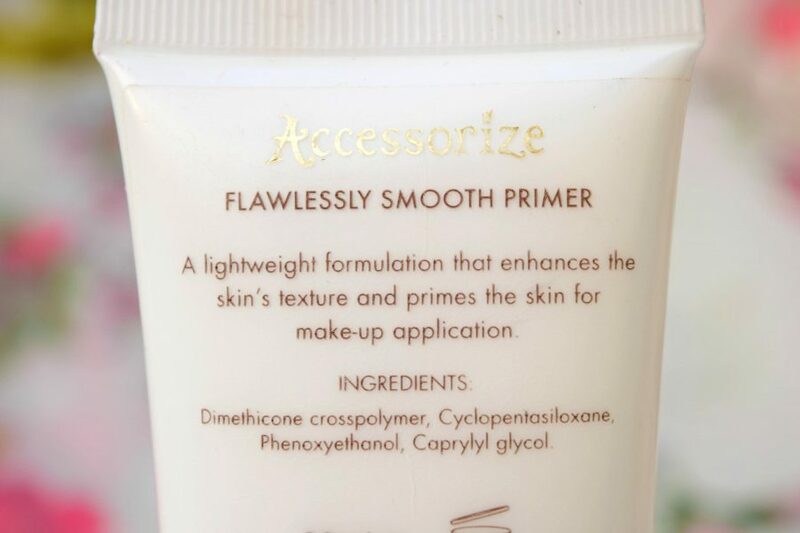 Peels on rubbing..thas so weird…very detailed review Arzoo..I love using primers and happy with Smashbox & W7 ones. This seems to be a dud…..i am luking for a primer these days….suggest something dear which is easily available ….i have to use it in winters . 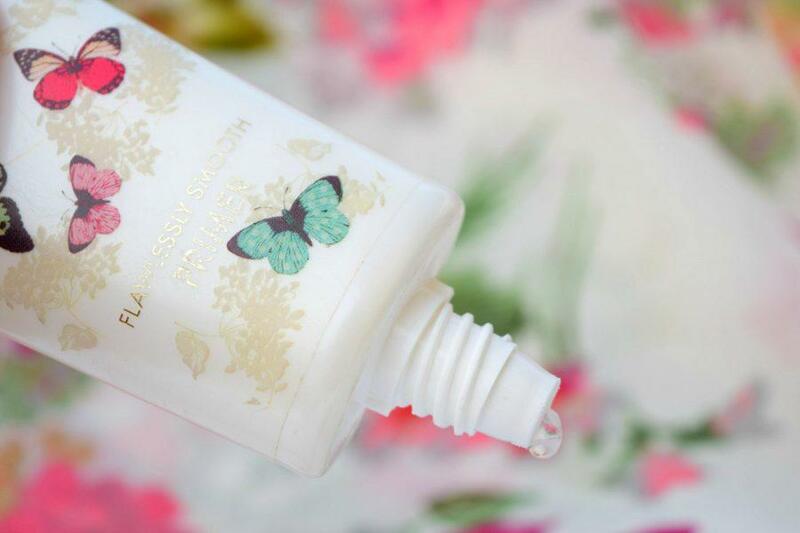 you should try clinique superprimer…it is amazing!!! Thats so disappointing. ..i have accessorize highlighter its good.. Previous Previous post: Instagram Update! !